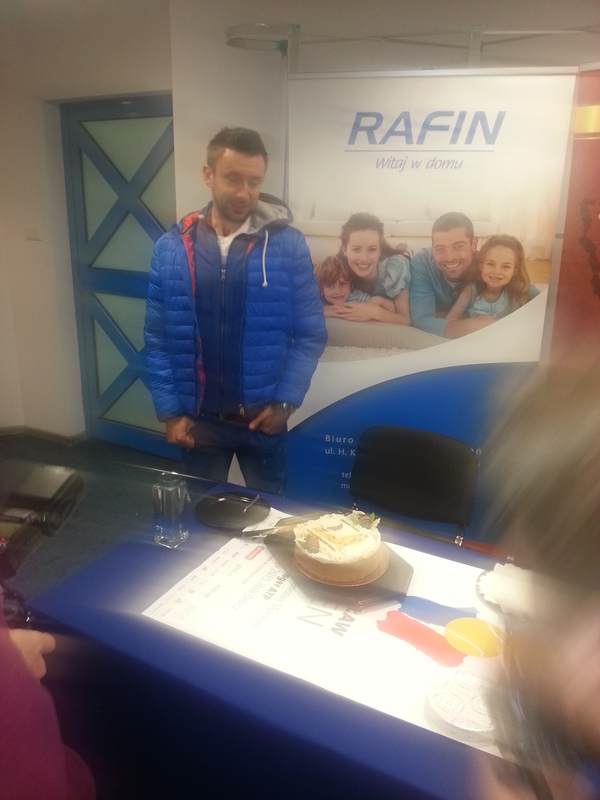 Another Twitter friend, Pale, was so kind to send me a report of his day at Ljubljana Futures. Thank you very much Pale. As this futures tournament is played at my local club, I went to see some of today’s first round matches. Here are some short notes about what I saw. Kočevar is probably one of the favourites of this tournament and as a local kid has big support from the stands as well. He has allround game, can finish off with a winner, moves pretty well too. Reminds me of another Slovenian tennis player Zemlja and maybe he will be able to breakthrough and start playing challenger events. Habrman can hit really big but he misses a lot, also his shot selection is really bad, so it was a routine victory for Slovenian. Ukranian kid is for me the biggest surprise of the first round. This guy can really play well. Razborsek was completely chanceless most of the match and was wondering outloud if it is possible for his opponent to miss any of his shots. Razborsek tried everything. From pushing to attacking, but Kalenichenko was always on the ball, hitting deep and frustrating his opponent. There was small chance for Slovenian to comeback after he broke back and hold for 4:4 in second. But Kalenichenko save 15:40 with few big plays and easily broke for match in next game. Janezic probably bought this wildcard as he isn’t something special even for Slovenian standards. At least he looked good in his latest, brand new tennis apparel 🙂 Ofner won first set easily without losing a single game and didn’t push as hard in second. Austrian has big first serve, but his percentage was very low. He was dictating every point and it was only chance for Janezic to hope for some easy miss, that didn’t happen often. I must say I was expecting more from Eremin. I think he still doesn’t play well enough to be competitive on challenger events. He was missing quite a lot of easy shots versus Jurman, who looked a bit out of gas today. It was probably one match too many for him as he is competing only few times per year, because he is working as a coach in local club now. First set was very even, Jurman came back from 1:4, although it was quite an undeserved lead for Italian, but then broke himself with stupidities when serving to stay in the set. Same story in second. Jurman with a quick break, then gifted it away and it was game over, focus was gone and it was an easy job then for Eremin, who didn’t look too happy with his game during the match. He has enough quality in his shots to be one of the contenders for the title, but needs to improve accuracy in next matches. Steficar is probably from some rich family as he is getting wildcards often, but he just doesn’t belong here. Ternar was playing quite bad, or probably he wasn’t focused enough, but still lost only one game as his opponent couldn’t stay in rally for few shots. At the start this looked like it was going to be an even match. Ofner really likes long rallies, he is small guy, with great court coverage and plays almost without mistakes, but his shots are very weak. Still on claycourts he is probably very tough to beat as you have to go for the lines to win a point against him and guys playing on futures events are usually unable to do that. Weidinger was playing very patient at the start, there were some really long rallies and games (for instance Ternar started at the same time and was over with his match before those two finished first set), but after Ofner took the first set it was one way traffic. Weidinger started to go for his shots too much and this is exactly what you shouldn’t do against a player like Ofner. I was surprised when found out Ofner was Top10 junior player, playing finals of Eddie Herr and Orange Bowl tournaments as I would be sure that he can’t win a match outside of clay. Vanni won an epic first round 16-14 third set, here how he reacted after 1st match point failed. This blog has not been updated for a while as I started writing also for Last Word on Sports (here you can find my summary of Santa Croce ITF Under 18 G1 tournament) and for Tennis Atlantic (where my reports from Roland Garros quali have been published). I will publish later here a gallery of best pictures and video from my unbelievable experience in Paris. 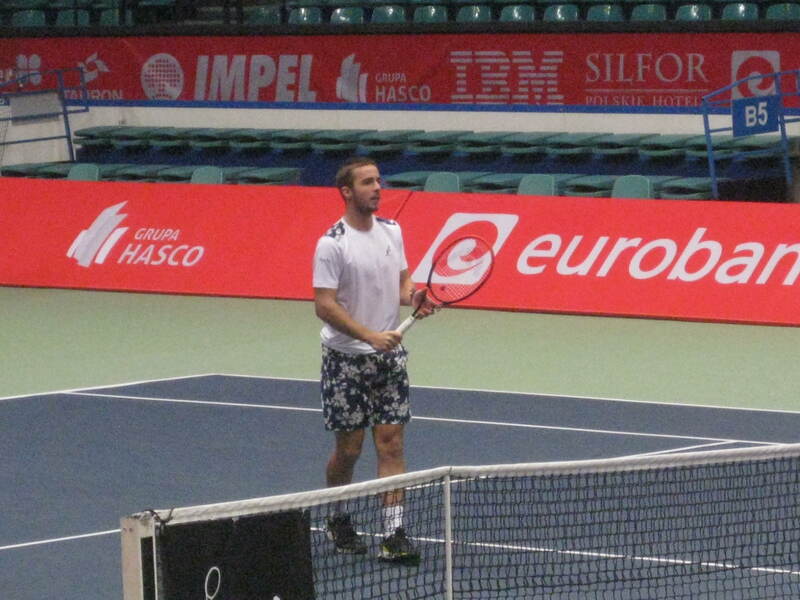 My friend Gabriele attended Vicenza Challenger on Monday and he was so nice to send me report and pics. I didn’t see Cipolla practicing before the match while Pereira was trying some volleys. Cipolla had an awful start, Pereira very solid on serve, always moving to hit with his forehand and smarter than Flavio at the net. During the changeover on 0-5 Cipolla checked every ball because he could not believe he was missing so many backhand slices. Different story in second set because Cipolla became more consistent and his slice more effective. Backhand winners for Cipolla and forehands netted by Pereira has been the second set summary. During the first set Lama was in control of the match and Roca Batalla didn’t look anything special. 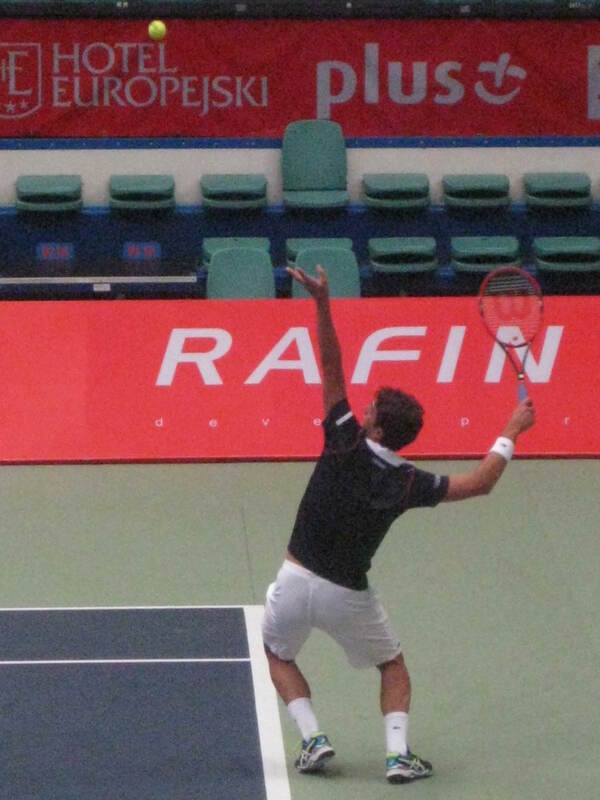 Lama was often using a kick serve to disturb Spaniard’s one-handed backhand on return. Despite the leading position Lama appeared too impulsive with a lot of self talking and he was always prone to throw the racquet. Lama is a fighter but after first set he started losing almost every long rally because Roca Batalla was tactically smarter. After a discussion with the umpire during third set he basically gave up. The US player had a better start, showing his good firepower that Pavlasek could not manage, especially on the forehand side. Pavlasek had some tough holds but he went 5-4* up and on 10th game Novikov had a complete blackout, losing focus and first set. At the beginning of second set Novikov gave again troubles to Pavlasek with his good forehand but the Czech saved break point with the serve, a shot that helped him quite a lot today. Novikov hit a lot of dropshots and all them were bad dropshots: he has really to improve this shot or at least he should avoid dropshots when he realizes it’s not a good day to try them. Quite a close match (with similar style of play) in the end despite the score but Pavlasek’s serve was the key of the match. I watched also Donati training with Gombos, with Gombos very solid and Donati missing a lot. The Italian’s coach told him to stop because he was training since the morning and he looked very tired. Training courts in Vicenza are 2 and some players complained because they could not train or warm-up: the bad weather on Saturday obliged the organizers to play official matches there. Viola arrived to book 30 min training with his sparring Marfia but schedule was full and he could not train. He later complained with Supervisor because he was scheduled to play his first round on Tuesday. He looked motivated. Other practice was Caruso-Gaio with Gaio playing very good tennis. Rublev looked to be the main attraction of the tournament (he practiced with Khachanov): everyone (coachs included) had very good words for him. The tennis club is in front of the local University so during the lunch break a lot of young people came to watch tennis. The tournament is well organized to you better go there in the next days! The readers of this blog and my followers on Twitter know very well how many times I wrote about bad conditions of some ITF pro tournaments and about the low prize money for players. At first sight you could understand that the spaniard could not play ATP Barcelona quali because of the behaviour of Mr. Pier Luigi Grana, ITF Supervisor of this week ITF Italy F6. Here is a little summary of what happened. 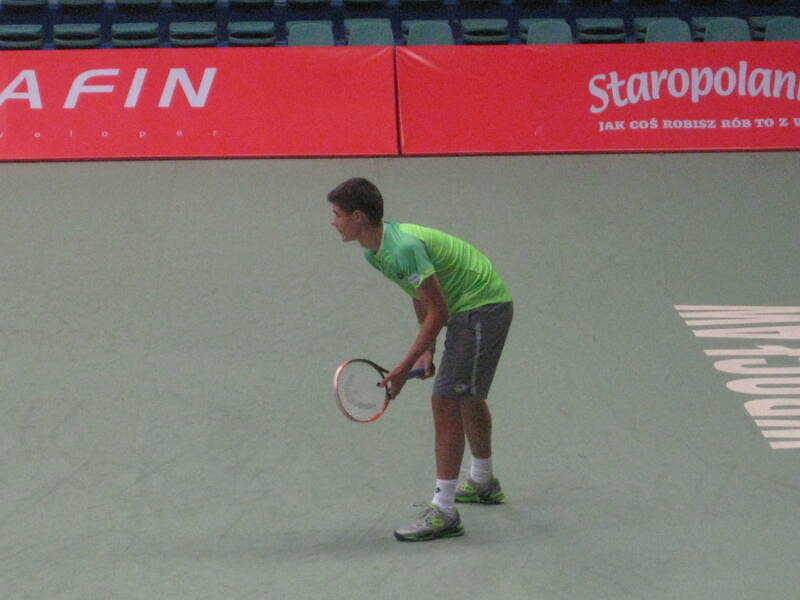 On Friday at 5 PM Pol Toledo Baguè started his doubles match in Reus (Spain F9 final). 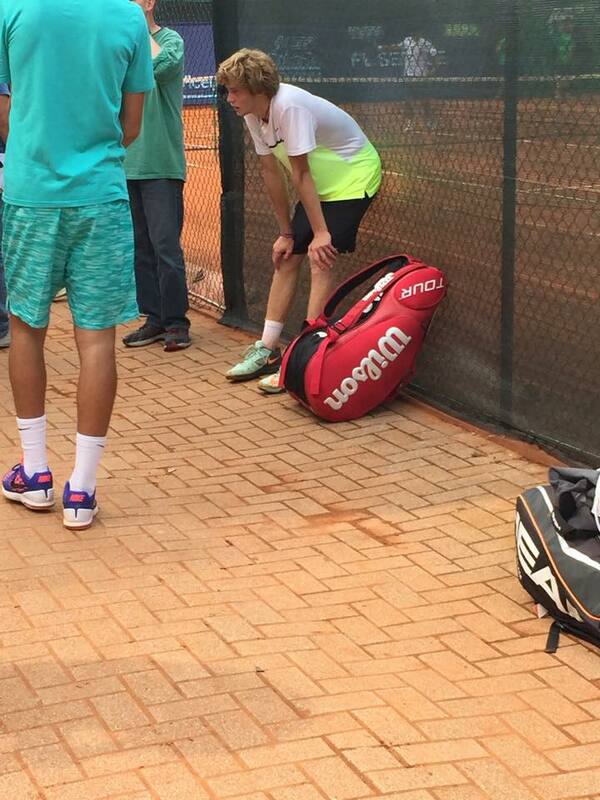 At 5.30 PM Pol’s coach was informed that his pupil received a WC for ATP Barcelona quali draw. 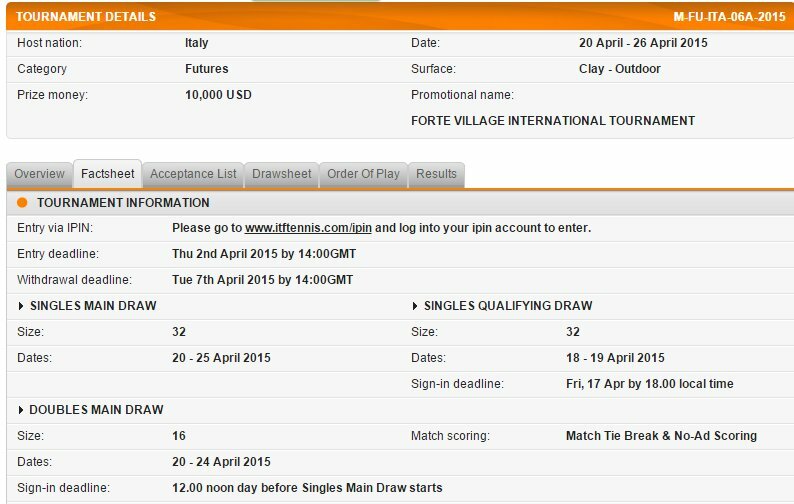 How can I withdraw from either the Main Draw or Qualifying Draw? 2. By faxing or emailing a completed and signed ITF Withdrawal Form to the ITF Office, and if withdrawing after the Freeze Deadline also to the ITF Supervisor on-site, so that it reaches the Supervisor by the Qualifying Sign-in Deadline. Withdrawals cannot be made over the phone. • You may withdraw late, for any reason and without incurring a fine, from up to three tournaments in a calendar year as long as you submit each withdrawal prior to the relevant Qualifying Sign-in Deadline. 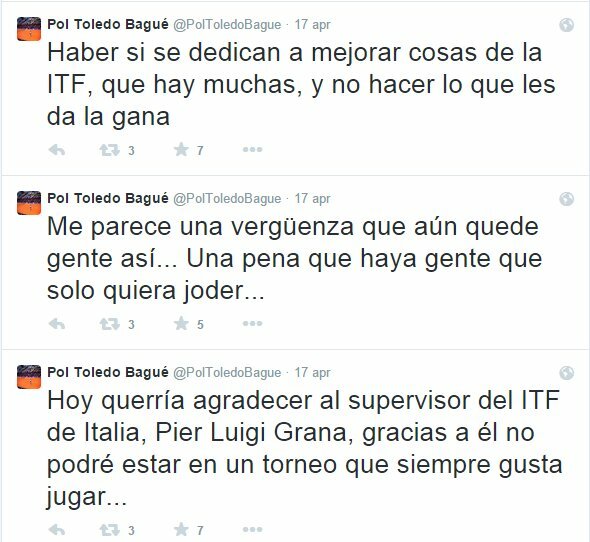 So Pol was allowed to withdraw “late” but as Mr. Grana told to the spaniard’s staff he had to send a signed letter to officially inform ITF Office and Supervisor. Mr. Grana also said that he had to receive that letter within 6 pm. 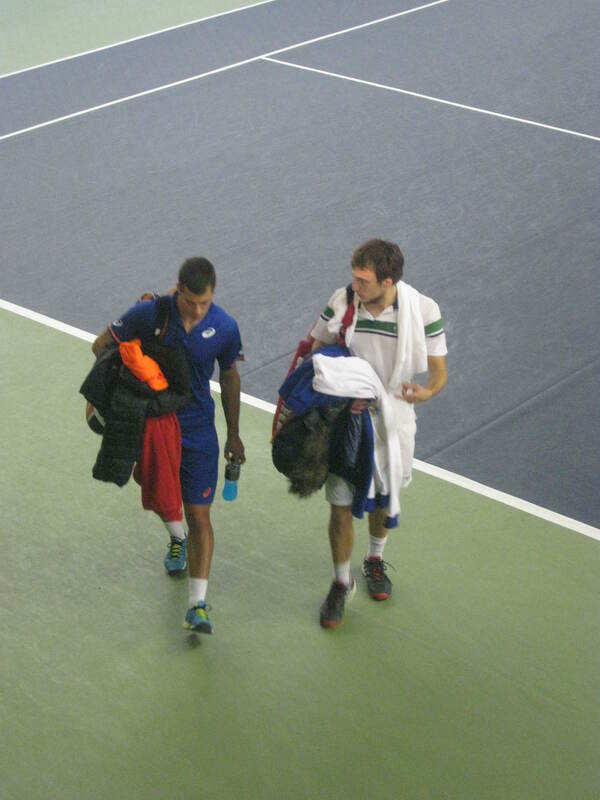 Unfortunately Pol was playing the doubles and could not send any letter. You can understand how much he was disappointed and angry but in my opinion there is a big problem in this story. La cuestión es que no está escrito en ningún lado que yo tenga que enviarlo a esa hora. So he was angry because, in his opinion, Mr. Grana should have not put the deadline for receiving the Withdrawal Letter at 6 pm. Translating from Spanish to English he wrote “It’s not written anywhere that I have to send within a certain hour”. Guess which was the Qualifying Sign-In Deadline for ITF Italy F6? I wonder also which will be ITF reaction to this, having a player attacked (just with words of course) an ITF Representative that just did what he is paid for and supposed to do. ITF has very big margins for improvement but I think that this is not the right way to ask for a better situation. I watched you several times but for those that could not, describe yourself on tennis court: your best side and your weakness. I would say my biggest strength is my ground strokes, returns, and my speed. I play at a very fast tempo, which puts a lot of pressure on my opponents. I like to stay quite close to the baseline to take the ball very early. Does cheering from the stands help to get you play better play or not? Especially in foreign tournaments. Absolutely, I play with a lot of energy, intensity and adrenaline, so a good crowd can help me a lot. I love playing in front of big crowds! Whom you don’t like to play (What style of game)? And whom do you like to play (What style of game)? What was the best match you’ve ever played? What is the weirdest thing happened to you on tour? What is your favourite tennis player and why? Who is the toughest opponent you faced? Your canadian mate Brayden Schnur chose to study and play NCAA : Did you ever think about this possibility? I don’t ever think about it, I made the right choice going pro. Which advice would you give to a young player who is starting to play Future tournaments? Don’t be too intimidated by guys hitting hard, just fight as hard as you can and you will be surprised that a lot of the guys are not as difficult to beat as it may seem at first. You have been junior #1 and multiple Slam winner: how much difficult is the transition from junior to pro? Very difficult, it is hard to break through to the top level of pros, takes a lot of physical work and to get mentally strong. You can’t get away with mistakes against the pros like it is possible to do with juniors. Your opinion about anti-doping programme: have you have ever been tested in competition or out of competition? Yes quite a few times, only in competition. It is a necessary process in order to keep our sport clean. Have you ever been approached (Skype, Facebook etc…) by someone to fix a match? 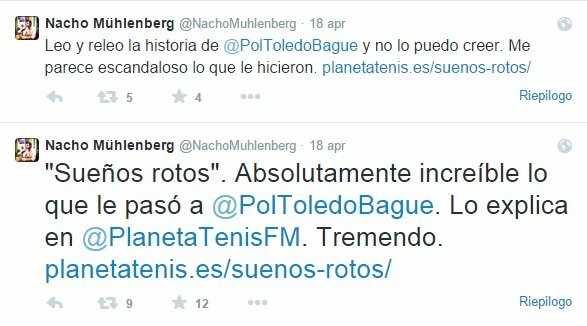 What do you think about the ITF and Challenger Prize money increase announced? I think it is a good step in the right direction. The lower levels of the pro tour are difficult to make enough money to continue playing unless you get into some big atp events, so it will help players very much. Your opinion about possible changes as no-let and no-adv. I think those are terrible changes, it would ruin the game in my opinion. Three things/rules you would change on Pro Circuit if you had the power. Definitely would increase prize money for the lower tournaments. As far as rules go nothing comes to mind, I’m pretty happy with the way the game is played. What is your schedule for beginning of 2015? Futures mainly, until I can play more challengers. What is your goal for 2015? Just stay healthy or do you have a ranking goal? What are your interests? What do you enjoy doing in your free time? 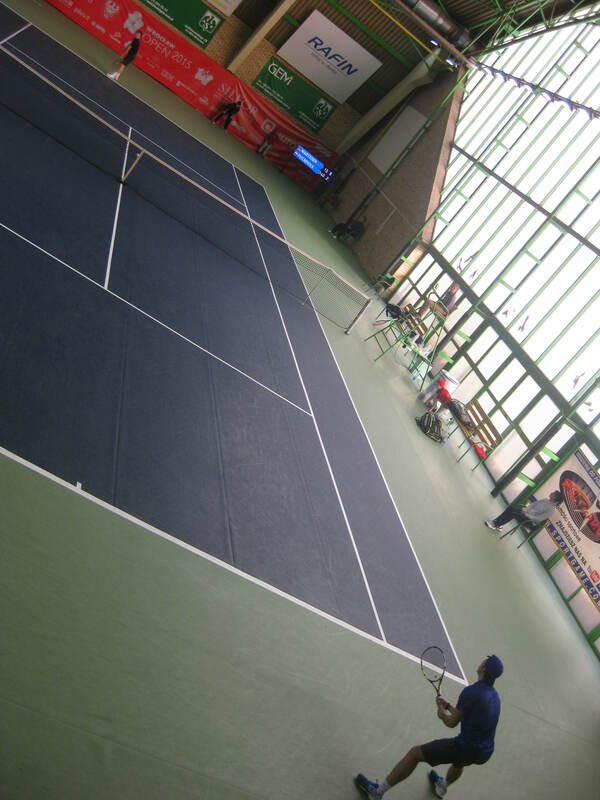 I arrived at the venue for the tiebreak: during first set Hernych had better chances, wasting a 0-40 on Dustov’s serve. I consider Hernych a very smart player and I was surprised he played that bad the final part of the tiebreak. Second set was dominated by serves, with both player holding easily and again an unexpected black-out from Hernych (broken to 0 on 5-5) gave Dustov the match. In my opinion Dustov is not in his best form, I have seen him playing much better than this. I expected a quite routine win for the Ukrainian here and despite not playing his best tennis he managed to go 64 53 up, with Fucsovics serving 15-40 (so 2 match points). Until there, match have been pretty close, apart from a couple of games on Fucsovics’ serve where the Hungarian played pretty bad. However, match looked ended but Fucsovics managed to hold (also with an ace on 30-40) and Marchenko choked: he started missing easy shots and the Hungarian played aggressive tennis. So in about 5 minutes we passed from 2 match points for Marchenko to 2 set points for Fucsovics. Serve helped Marchenko to hold and they went to a tiebreak where Marchenko played quite well and a frustratred Fucsovics destroyed his racquet. I was curious to see if Hurkacz would have kept serving big as yesterday and in fact he hit some serves above 210 kmh but generally he served as you should do in doubles (a 80-85% potential speed first serve) and results were anyway effective. Nothing much to say about this match, the polish players were much more interested in this match while the others, especially Huta Galung, played a sort of competitive training session. 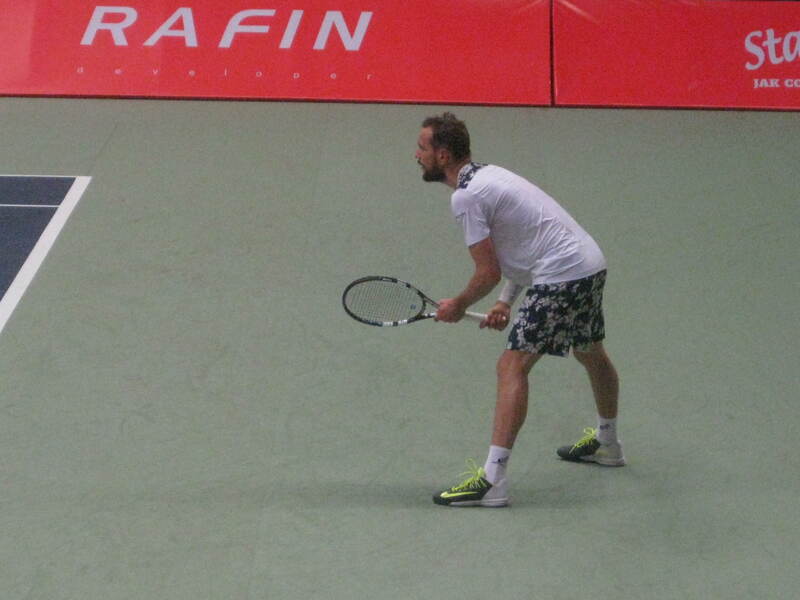 I arrived in the middle of first set with Mertl up a break and I was quite shocked watching him losing the set 5-7. 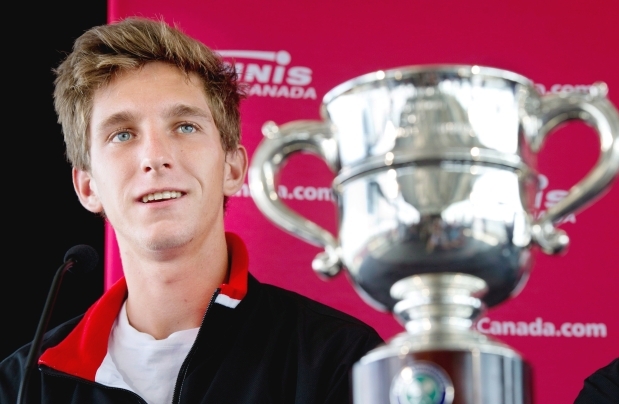 I watched him last week vs Paire and he played very well so I could not believe him playing that bad. After the first set he took the toilet break and….it worked. A new player came out from the toilet: unreturnable on serve (32/35 on 1st serve in set 2&3, 40-8 points) and very solid on return and during rallies. Kapas did his best, also helped by the crowd but he could not do anything against a better player. 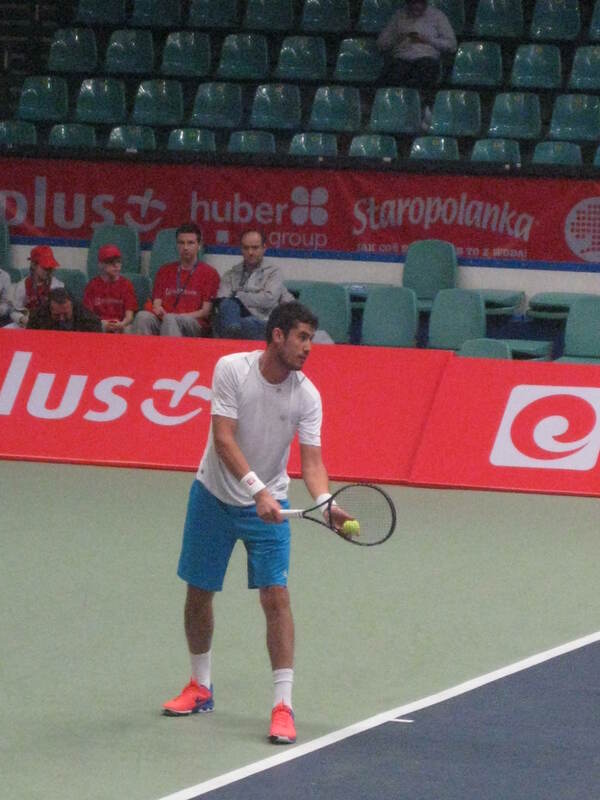 Good tournament of the polish guy, that was very solid against Delic and also today gave everything on court. Already from the warm-up you could notice that Majchrzak is a solid baseliner, with way better shots than his 18 yo mate Hurkacz. However as I expected he gave to Berankis less troubles than “the new Karlovic” because he has a style of play very similar to Berankis but with lower consistency and power. Routine win for the seed #1 that played a very solid match. Considering the last performances of Dancevic in singles I thought I was going to see a pretty easy match for Betov/Bury but I have to say that from the beginning Dancevic & Kapas looked motivated. They lost first set (wasted a 0-40 chance on return) so outcome of the match was still in doubt. 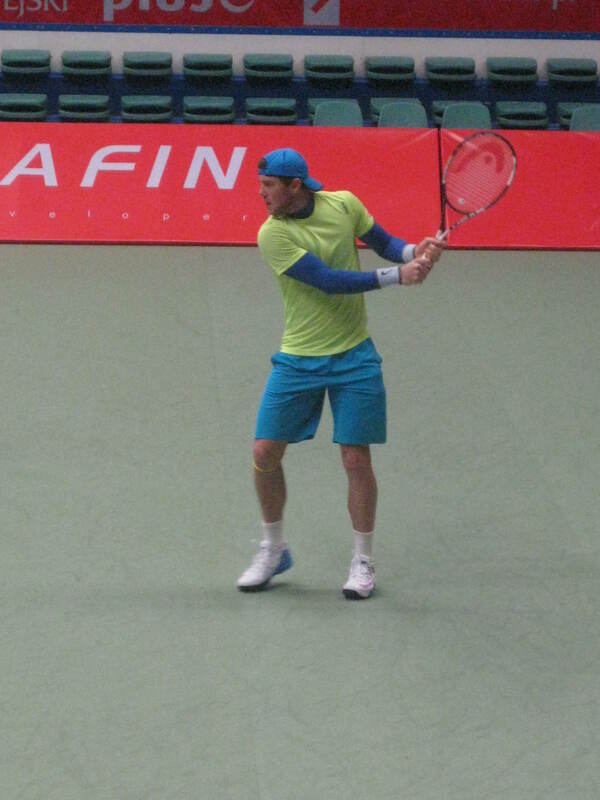 Especially Betov played a bad second set, that ended with an amazing recovery from Dancevic. In the champions tiebreak Dancevic/Kapas played very relaxed while the Bielorussians were very nervous, especially Betov that looked not happy with Bury and he kept being very angry also on the bench after match. I missed the start of the match and the early break of Berrer that gave him the first set. Match was very close with both players showing good tennis (Berrer was surely better than vs Michon) and trying to attack the opponent. Zopp was pretty bad at the net, he could not believe how he missed basically every stop volley. Highlight of the match was during second set with Berrer serving 40-0 and Zopp missing a shot by maybe twenty centimeters: linesman called ball out but surprisingly the chair umpire overruled. Berrer could not believe this, and on his own knees was showing to the umpire his errors, he even asked the public about the ball and from the stands everyone replied ball clearly out so he got even more angry. Zopp showed great fair play, telling Berrer “You can take the point if you want” but Berrer didn’t accept. Later Berrer conceded Zopp another first serve because a man on the stands was moving with Zopp ready to hit a second serve. Good sportsmanship in this match. 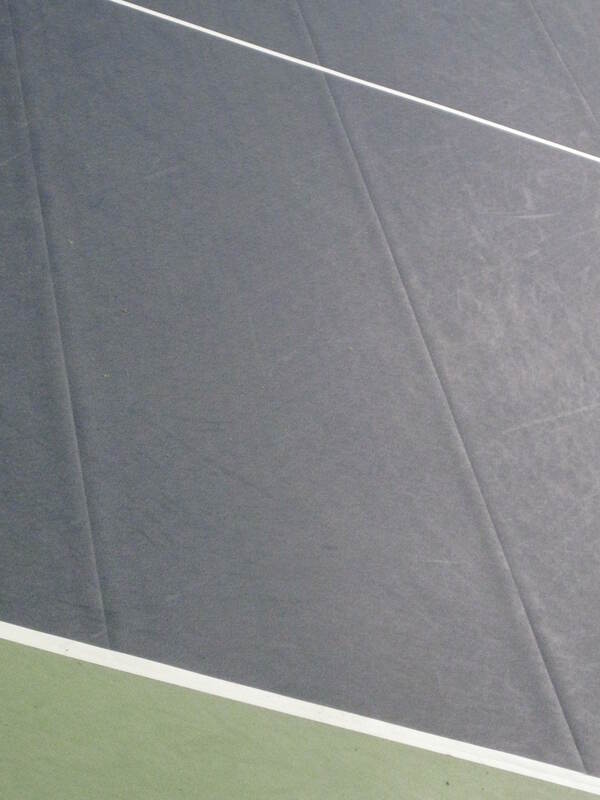 He won the game with a big serve on next point and after that he threw the ball up to the roof: umpire probably was feeling guilty and didn’t give him a warning. During the match Zopp complained (as other players did in these day) about the ball bounce: “It’s not normal!”. Another morning match with low attendance. 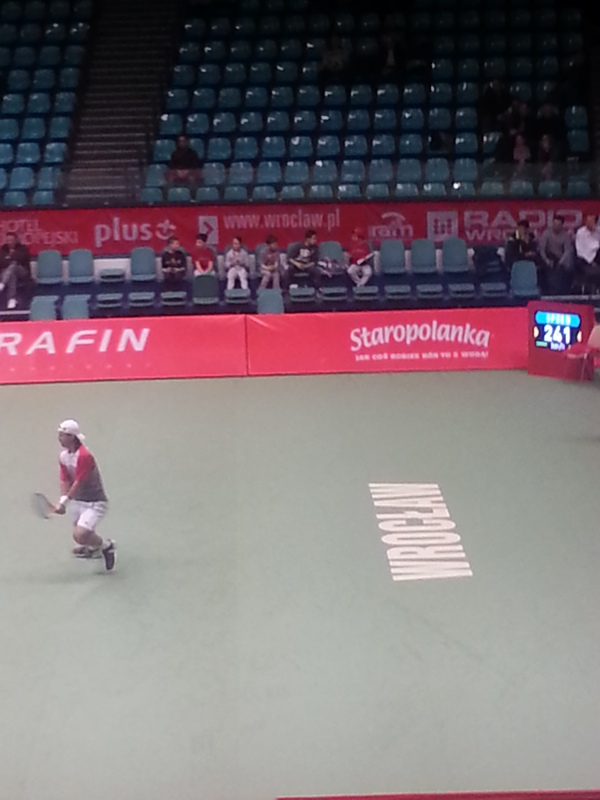 Huta Galung played quite well recently and took and early lead in the match but he gifted away the break to 0. The level was quite good and I am impressed every time by Basic because he has not special shots or special power but he can do everything on court (serve, attack, defense) and it’s really not easy to face him indoors. Huta was not consistent today and when I was expecting a tiebreak got broken twice and was on the verge of being 57 14* down. He managed to held on *1-3 and Basic, that was in full control, started choking. 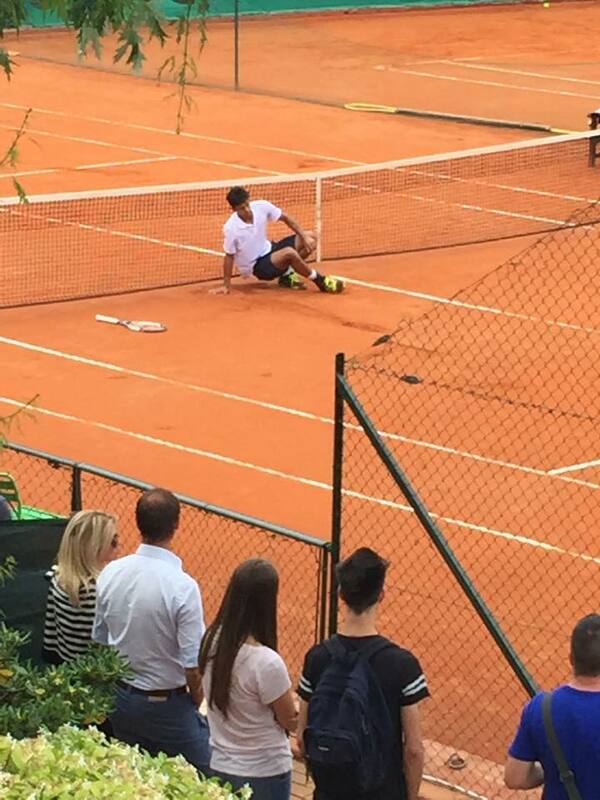 He had to save 2 break points on 75 *43 and got broken on 75 *54, suddenly hitting shots in the middle of the net. Luckily for him he regrouped and played a solid tiebreak. During the match Huta Galung hit a nice tweener lob, Basic missed the not difficult smash because of people clapping for the tweener with ball still in the air. There is not much to say about this match, you always had the impression that Kravchuk would have won, he is in form and he played a very solid match, with just a little black-out when set and break up. Nice shorts for Martin, he was ready for a swim. 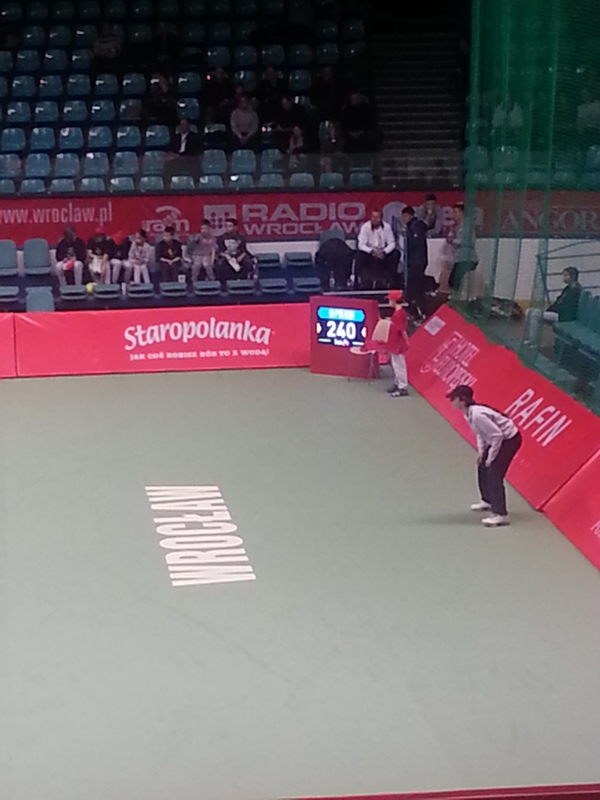 I had not great expectations about this match, despite the polish boy being a top 50 junior. I arrived just in time for the first game. 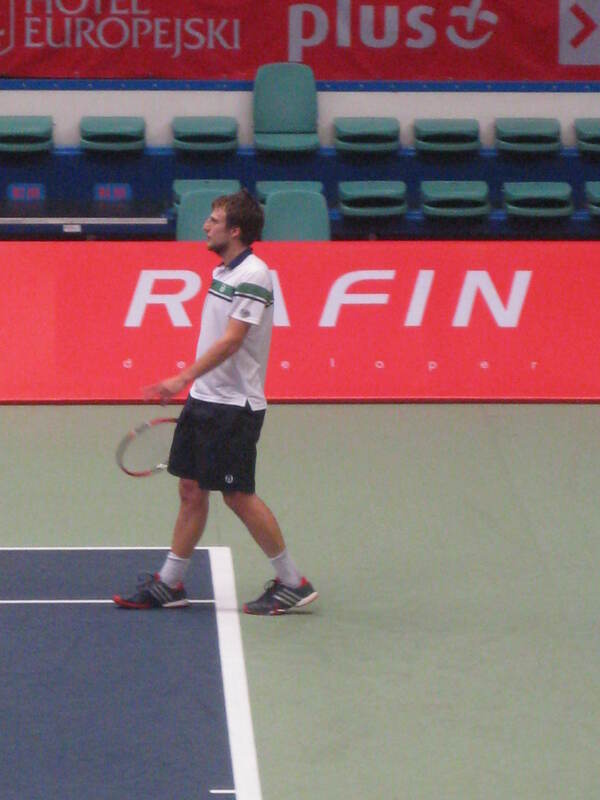 Hurkacz served 223 kmh. Wow, I said, guy at least can serve. Then he kept hitting huge first serves as you can see in the picture below, he even hit a long first serve 255 kmh that I could not record! I have never seen such a serve performance by a 18 yo, even if it has to be said that second serve is not good as well, 160 kmh average. 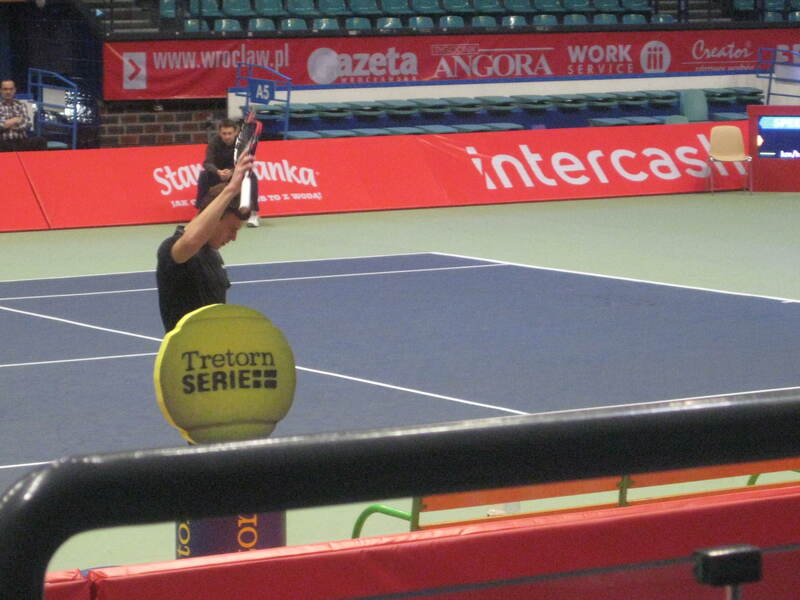 Surely Berankis was not prepared for such tough work on return and he looked frustrated for the whole time. The polish boy is not so consistent from the baseline, especially on the backhand but surely can play and he is not just a serve bot. He is an aggressive baseliner, I think he went to the net just twice. Highlight of the match was on 76 34* when the Hurkacz had to save a break point and this happened: winner dive volley (and then he was hit by Berankis that got a warning for this). Thanks to Chris De Waard for the gif. Berankis managed to win in the end because as soon as the polish guy realized he was about to win a set his game became weaker and first serve much slower. 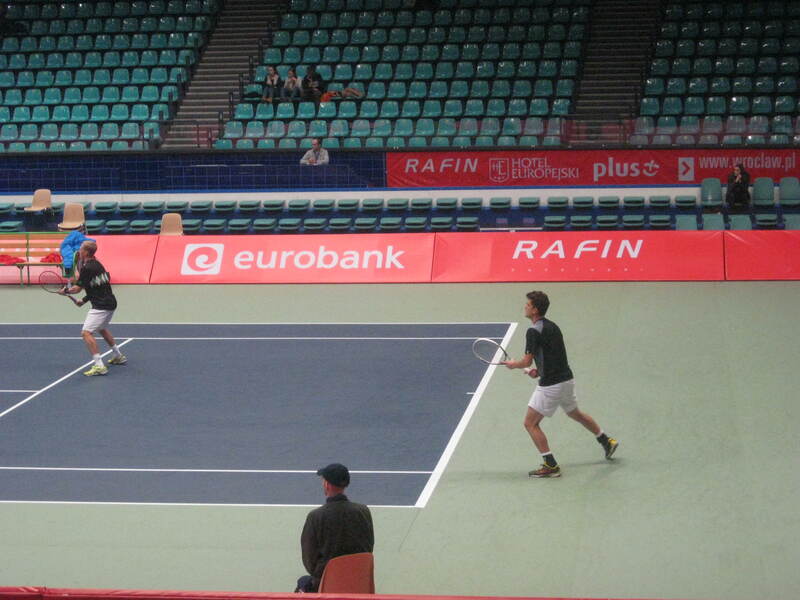 I was impressed also by Hurkacz’s sliding skills, I think only Monfils can slide like this indoor, was crazy stuff. I could watch only a few games of this match, with both players holding easily so I will not add anything bu as I wrote yesterday the Belgian is very motivated here. First time ever for me at a players party, I attempted to go a few years ago, again here in Poland, again with the lovely Nathii but this happened and party was canceled. Not many players in the club to be honest, when I arrived there were just Martin and his doubles mate Peng watching Champions League match. They played darts later, smiling all the time. After the football match, other players arrived (Petz, Puetz and Fischer). Puetz today withdrew but his injury at least allowed him to play pool and they a had a lot of fun. Petzschner and Puetz played a sort of mixed doubles match with two local girls (I can’t say who won). Then they started playing darts as well. 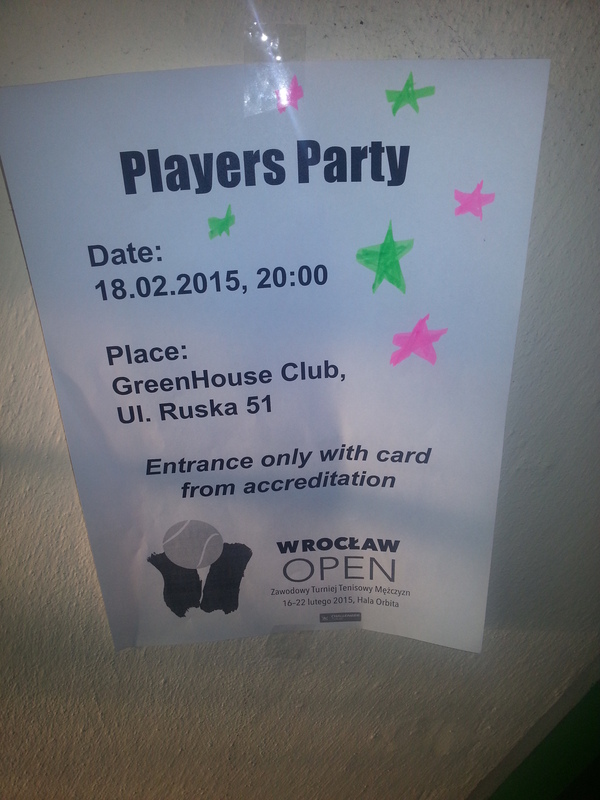 No polish players at the party but maybe they arrived after I came back to the hotel. You know my impression about Dancevic from last week. I was curious to see if that was just a case and after the first games I have to admit to I started thinking my impression was wrong. Both players held easily in the first games and Dancevic was even smiling. 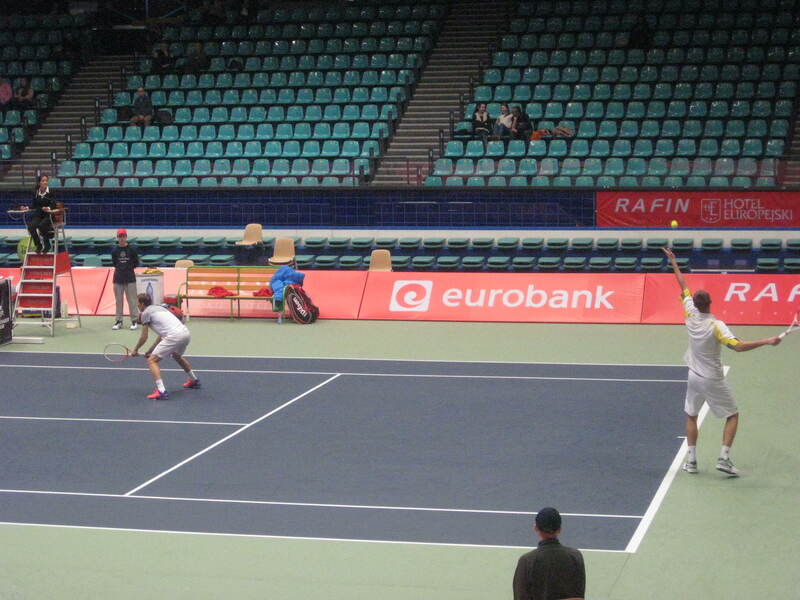 As soon as he started missing some first serves Frank looked again spent and in a while he was break and set down. Zopp is clearly in form and full of confidence, I think he made just a few unforced errors and he is too solid at the moment for this Dancevic. So my opinion about the canadian is sadly confirmed. I expected here a quite easy match for Dustov but I have to say we had a match. In the beginning Dustov was clearly in trouble to manage the effective backhand slice of Petz (he had some support by his doubles mate, Puetz) and the Uzbek was missing a lot. Petz went a break up but then decided to fail six serves in a row and to gift the break back. Both players alternated good shots and bad unforced errors and in the tie break Dustov took an early lead and didn’t allow the german to recover. I had to go to the other venue at the end of first set: not impressed by the level of this match. I was very curious to watch for the first time (apart from streaming) Marterer, rising player that dominated ITF tour in January. Fucsovics last week in Bergamo was really terrible and at the start of the match he played quite bad and could not handle at all the power of Marterer. The german looked in control also in second set but he missed some easy shots on key points so he was forced to a tiebreak. He was very nervous because he knew he had a great chance here and he knew he was better than his opponent. I think he has still a pretty weak backhand for this level and surely he has to improve in shots selection: he can’t go all the time with all the power. I have to give credit to the hungarian, he didn’t give up despite being outpowered and he understood that his opponent was nervous. I recorded a few games during second set. I could not watch this match, just a few rallies. Basic confirmed his good form and appeared too solid for Djere; the Serbian, when I was watching, showed a good forehand. You have seen for the previous video that funniest thing happened on court was the service line that got broken during second set. The dutch doubles played stunning tennis at the beginning of the match and you could easily noticed that they are a stable team with good chemistry while Motti/Desein are not. Koolhof/Middelkoop were in full control of the match, set and break up but quite suddenly the match changed and Motti/Desein had even a few chances to turn the situation around but were not so clutch in important rallies that could have given them a break point. Second set was decided by a tiebreak where the Dutch players regrouped and played better. Motti/Desein complained about a couple of line calls, pretty terrible: they were right but it’s not so easy to be a linesman on such a fast court. Good attitude for Koolhof/Middelkoop that were often smiling during the match and that at the end didn’t go immediately in the locker room but stayed on court talking about what went right and wrong in the match. I was even in the transportation with them and Desein later nd all of them looked very relaxed, especially Middelkoop looks a very funny guy. I watched the match with Motti’s girlfriend, very nice and kind girl, we did our best to pump them up but wasn’t their day. Motti told me that he has been impressed by Marterer already one year ago when he beated Basso in Rovereto ITF, he told Basso that he lost to a player with a good future and he was right. I even commented with him the amazing Vanni’s run in Sao Paolo, we were both disappointed about the end of the tournament but happy especially for the win over the brazialian crowd in semifinal. This has been by far the best match of the tournament so far. When I came back to the main venue I was surprised to see the parking completely full and a big crowd on the stands. Both players played quite well, with ups and downs of course but the level was very high. I was told that there is a long tradition of polish players losing 6-7 third set so the outcome of the match wasn’t so unexpected. Darcis was very motivated, often fist pumping and shouting “Vamos” after every long rally won. He didn’t serve very well (especially in term of serve speed), I could notice he had strips on his abs, probably still not 100% after his recent injury. The crowd (and some wrong calls) helped a lot the polish player but I have to say Darcis played really good tennis and won the match with a great passing shot. He complained often about the ball bounce that several times didn’t look regular. For a lover of one handed backhands and slices like me this match was really great. So what about the 6-7 third set loss tradition? Organizers should be very unhappy about the outcome of last two matches. Kubot played at a nice level in first set, taking an early lead and serving very well (19/20 with first serve during first set). He looked very motivated here but Arnaboldi after the bad start played a good first set showing that he didn’t want to be the sacrificial lamb: he complained a lot about “local” line calls but you have to expect it when you play abroad against the local player. Unfortunately I had to go after first set, I have to say that after that set I was thinking about Kubot as one of the favourites for the tournament but tradition is tradition so today Arnaboldi will face Darcis. My trip to Wroclaw started with the flight from Bergamo: Nedovyesov, recent finalist at Bergamo Challenger was on the same flight. I had a quick chat with him but he didn’t look in the mood for an interview, just replying “Ok” so I let him alone after a couple of minutes together. The Wroclaw main venue (Orbita) is big (spectators are pretty distant from the court) and the attendance was good, some hundreds people. Entrance is free. I met as planned the best tennis storyteller you could ever meet, Nathii and watched with her a few matches. 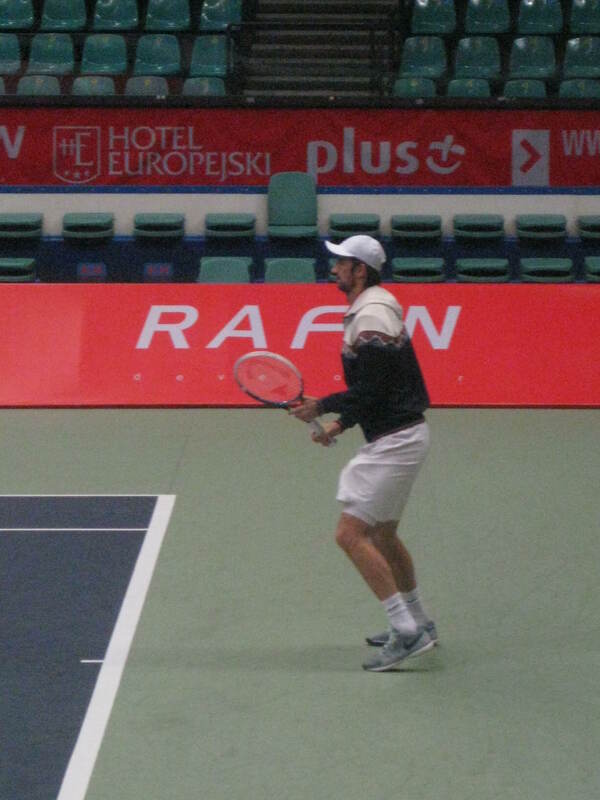 I arrived at the venue just for the last couple of games, where Huta tried to choke several times but Bachinger was too erratic and very unhappy with his performance, throwing the racquet after almost every rally. I could notice quite a big difference between this surface speed and that in Bergamo. Here serve is not gifting so many easy points as in the last italian challenger so we will see a lot of rallies despite being indoors. I watched Michon last week and he was solid from baseline so I expected him to give some trouble to the obvious favourite Berrer. In the first set Michon managed to play very deep and didn’t allow Berrer to attack him: he won the set thanks to a truly bad serve game by the german. Berrer showed that he isn’t here on holiday, he became more aggressive and could take the second set very easily. First two sets were very quick, with just a couple of games that went to deuce. In the beginning of third set both players lost focus on serve and surprisingly there were 3 breaks in the first 3 games. Despite being a break down, Berrer was still fighting, fist pumping and complaining with the umpire especially for a couple of overrules. From the middle of the set you understood why Michon has the ranking that he has, he started playing very short and he hit some very slow second serves (as you can see in the video below). Berrer was just waiting for his opponent to choke and took the match with a powerful smash. Good chance for Delic in this match as in this tournament with high prize-money had to face a local wild card, ranked outside top 400. Kapas had the support of the public and of his strong serve throughout the match but he had not to do anything special to take the win. Delic started complaining about the court conditions after a few rallies and played the whole match with a bad attitude, he looked ready to tank already in the middle of first set. As soon as Kapas managed to break him, the match virtually ended: Delic kept hitting serial unforced errors and got broken twice in the second set (once to 0). I really don’t understand how players that have to fight at every round to economically survive at this level can play with such a terrible attitude and lack of fighting spirit. However I give merit to Kapas that played a solid match and didn’t let Delic come back in the match. I was told that in the other venue of the tournament courts are quicker than here so today I will go to watch a couple of match there and let you know. 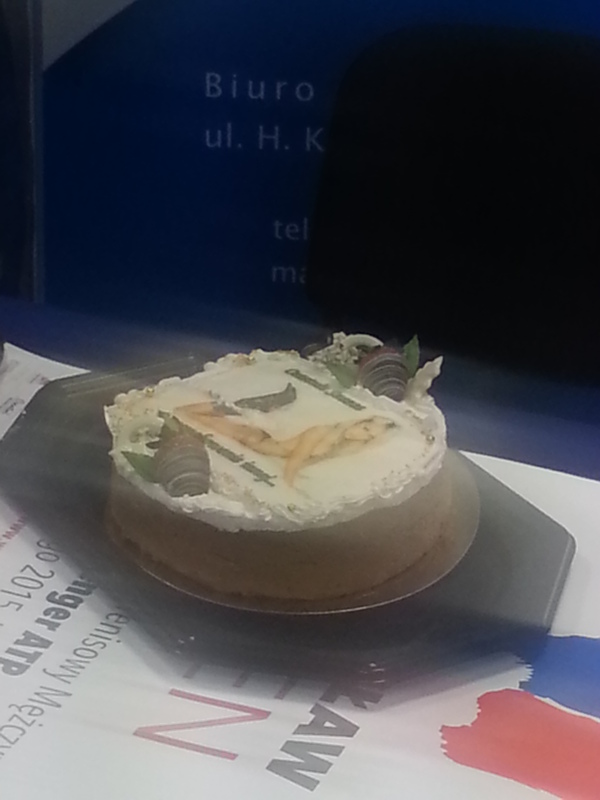 Today Michał Przysiężny turned 31 and polish journalists prepared for him a funny cake in the press room. Today I could stay only for the first matches and you can imagine my disappointment for missing Paire-Bozoljac. Both players held very easily during first set, with Dustov showing his very powerful forehand and Authom obtaining a lot of free points on serve. After 12 games with just 14 points won on return in the tiebreak Dustov became more aggressive and also thanks to three (!) netcords dominated it (7-0). As often happens, the tiebreak became a boost for the winner while the Belgian lost self-confidence and got broken early in the second set. Authom was about to give up but he saved break points on 6-7 *1-4 and somehow managed to hold until the final 6-7 3-6. Dustov played a solid match but Authom’s level dropped quite quickly after tiebreak. I had quite big expectations from this match as I really admire attacking players like Petz. First four games were very promising because the german looked focused and in good form on serve, but as soon as he had to face the first difficulties he stopped fighting and just played the rest of match without focus and will to come back and win. Of course he hit a couple of very nice volleys but he was very inconsistent. It is difficult to judge Zopp because he did not have to do anything special. I watched Dancevic on stream vs Falgheri in the first round and I didn’t have a good impression, while from the stands Nedo in the match against Marcora looked highly motivated and in good form, so I expected the kazakh to have good chances to reach Quarterfinals. After the first games Nedo was clearly the better player on court and managed to break Dancevic to 0 and to go 30-0 up in the following game. Match was in full control but Nedo choked from nowhere, missing some easy shots and a few break points in the following games. He was also broken once, so the first set went to the tie break. The kazakh played a good tiebreak and in a few minutes he was 7-6 3-0* up. Dancevic didn’t do anything to come back and despite Nedo tried again to choke when serving for match, he managed to serve it out to win 7-6 6-3. 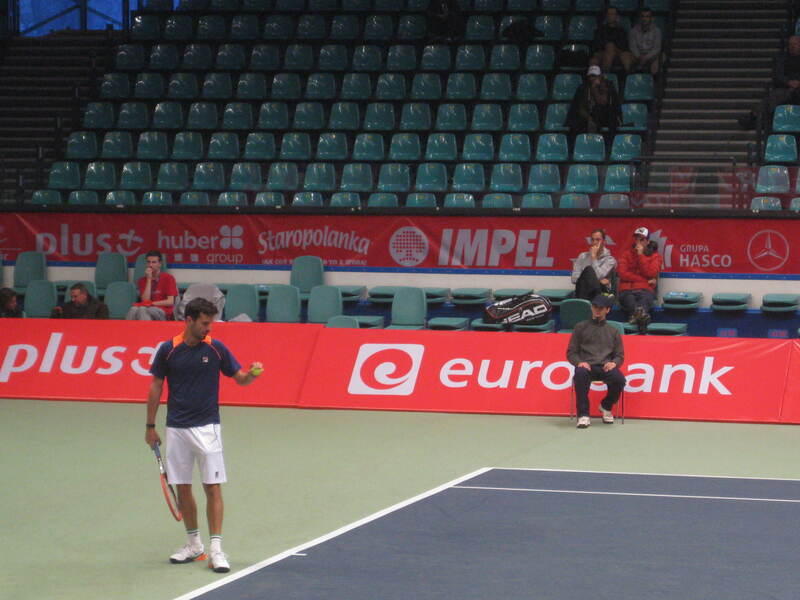 In my opinion he played better tennis against Marcora, today was still good but not so consistent. I have to spend a few words about Petz and Frank: both have been legends of the game, both are now 30 and both have a best ranking more than 5 years old. They didn’t show any particular emotion on court, they gave up pretty early in their respective match and in my opinion is very difficult for them now to compete vs young and rising guys that fight for every single point because a single point means money to continue their career. Of course they are still able to win matches and to hit some incredible shots but I had the impression that we will not see them many more times on court as they don’t seem to enjoy the game anymore. Unfortunately I left the venue after the third match but a friend of mine was so kind to send me some videos about Bozo vs Paire.